Looking for a relaxed Chesapeake Bay marina? For over 60 years, Chesapeake Boat Basin has been a favorite stop over for the Bay traveler. Conveniently located just 1.5 miles from the Chesapeake Bay! Great fishing within minutes, and no problems with water depth or hard to navigate areas. WELL MARKED, DEEP WATER CHANNEL leads you directly to our marina! The charming Town of Kilmarnock is within walking distance, just 1.5 miles from the marina, and offers everything from shopping, local flair dining, groceries, ABC store, & more! For those weary legs, we do offer Courtesy Transportation! Bicycles are available too! Our large, inviting covered porch overlooks the water and features 3 picnic tables & plenty of Adirondack styled chairs. Enjoy its tranquility where you can watch for seagulls, ospreys, eagles, and cranes! The porch is the most popular spot in the marina as it provides for hours of endless enjoyment! Fixed, State of the Art Floating, & Covered fixed docks available. Lighted power pedestals with water hookups are found at each slip. Beautiful, swimming pool overlooks the water and features built-in seating. Clean, climate-controlled (year-round) restrooms with private changing area for shower. Active Captain 1st Choice Marina –many years in a row!!! Pool-side lounge chairs and tables with umbrellas make for the perfect lazy day! The porch is the most popular spot in the marina as it provides for hours of endless enjoyment! Sit back and relax, read a book, watch tv, or play a game of checkers. Click here for Things To Do in the Town of Kilmarnock! 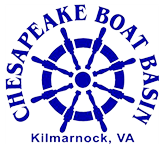 Our Chesapeake Bay marina is the perfect destination for travelers or those wanting a long term place to enjoy. Call us today and let our friendly staff assist with your boating needs! WE HOPE TO SEE YOU SOON!